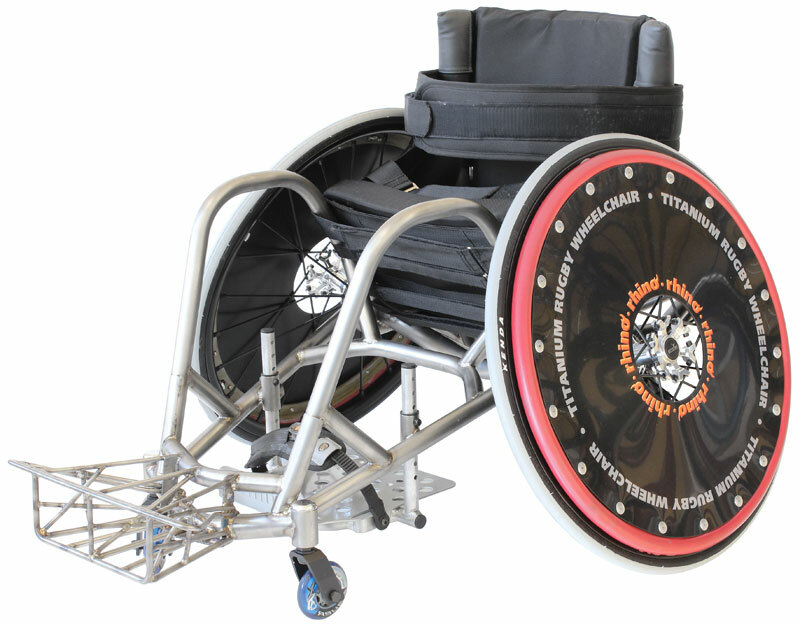 The Melrose Rhino, our custom built Rugby Sports Chairs, are fabricated after careful consultation with the athlete. 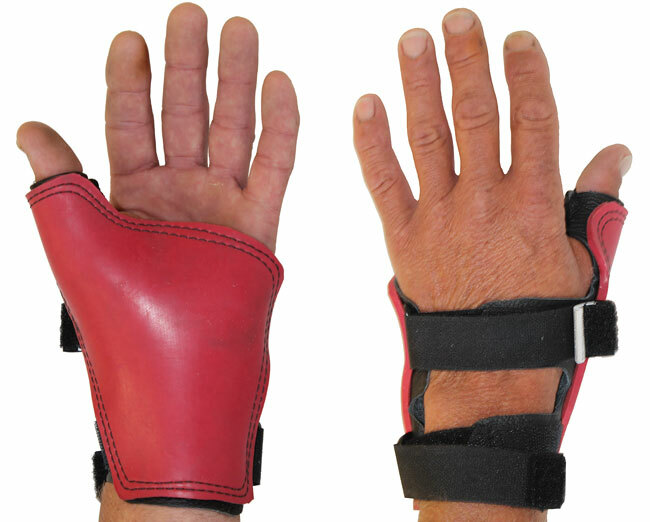 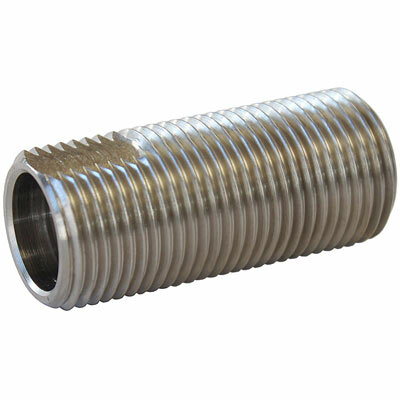 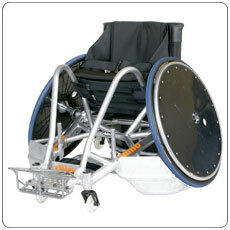 They are all manufactured to comply with International rules of the IWRF. 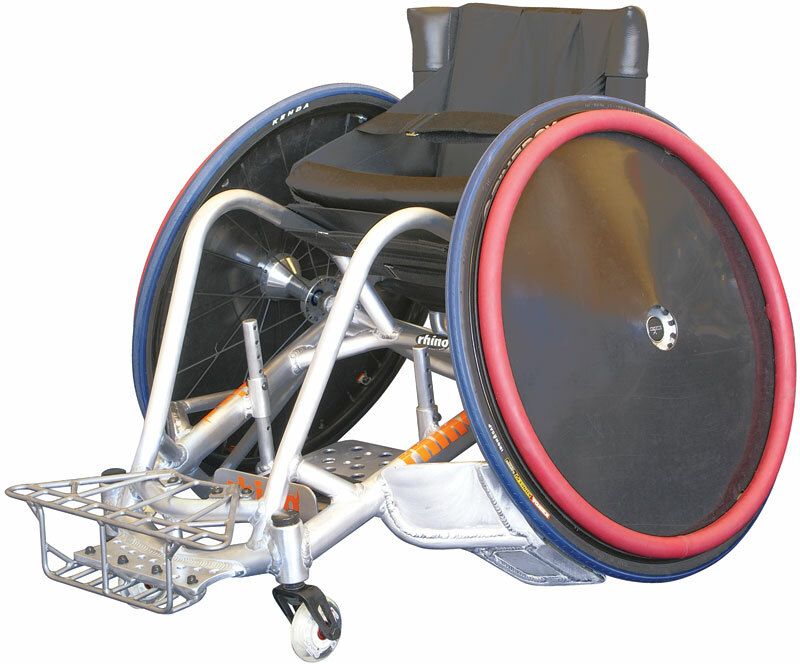 All our Rugby Sports Chairs are built by highly experienced fabricators who are working for a company that has over 15 years involvement in the sport. 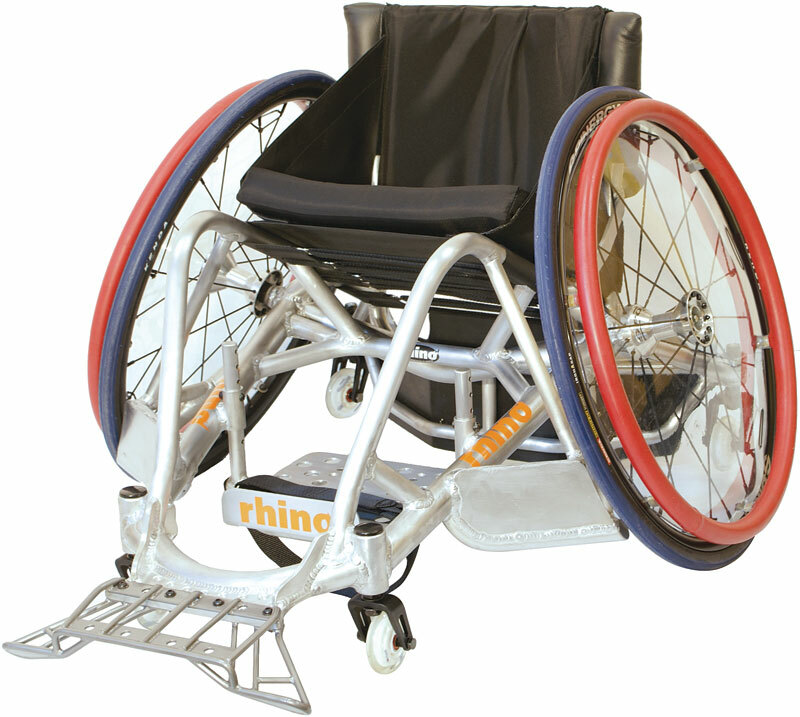 As a small customer focused company we encourage you to talk directly with the fabricator of your new Rhino sports chair to ensure you get the product you desire, this is a service we are committed to offering you. 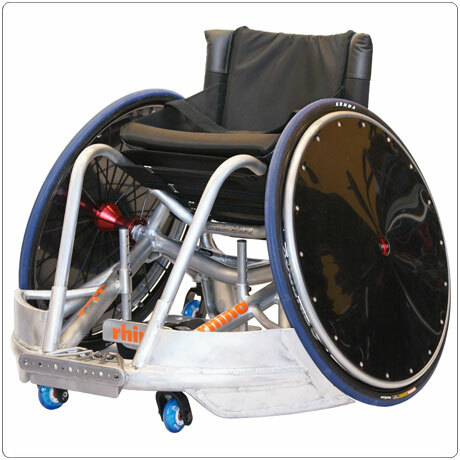 We use the highest quality materials and components to build our sports chairs, many of the components are built in-house by our team of qualified engineers using the latest CNC technology. 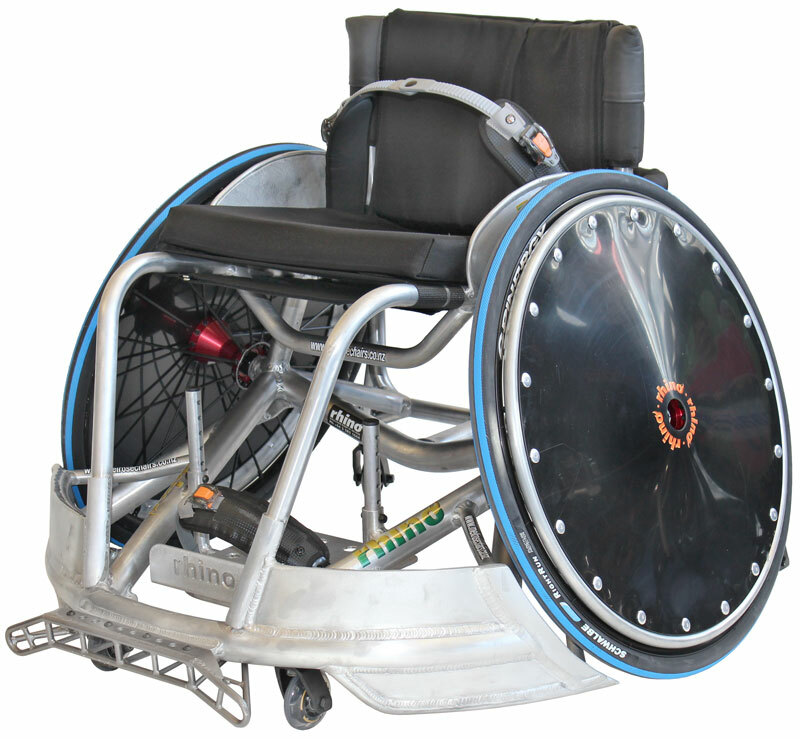 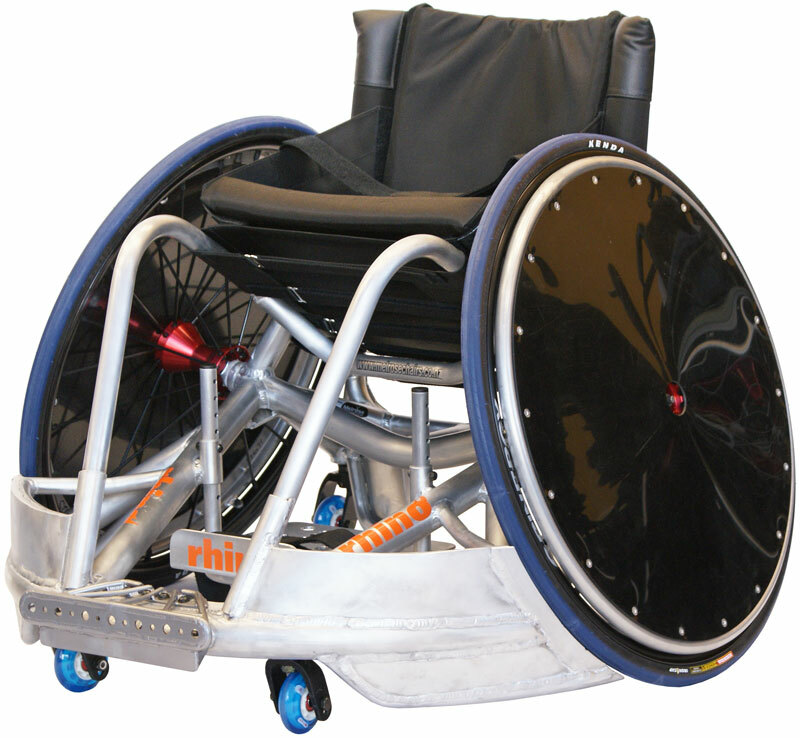 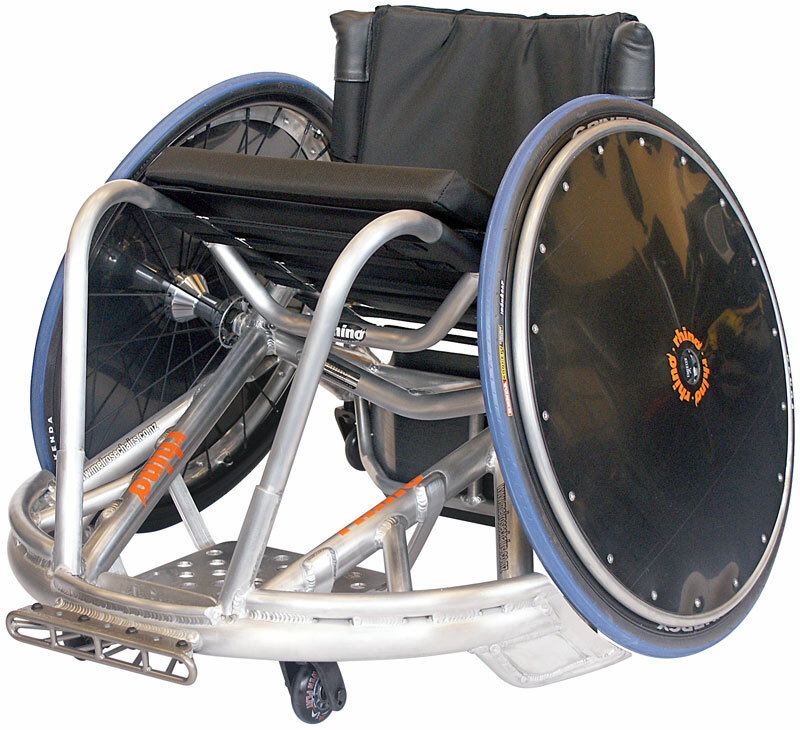 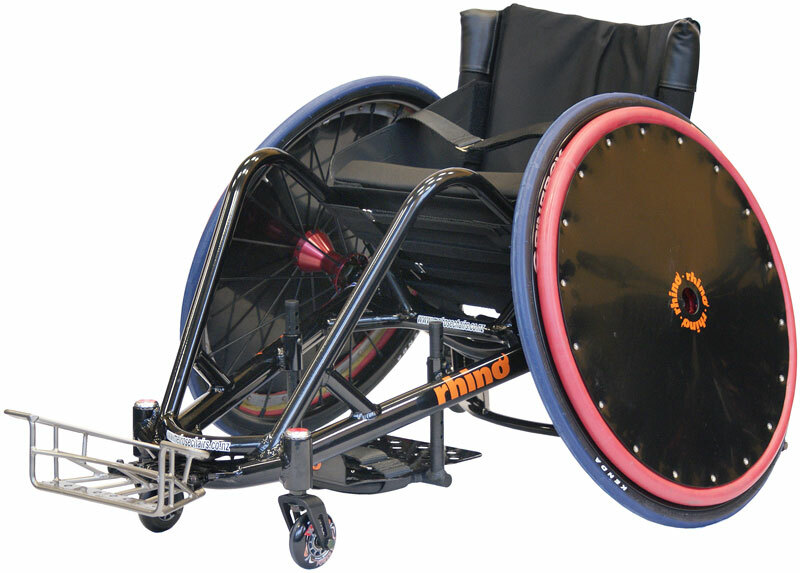 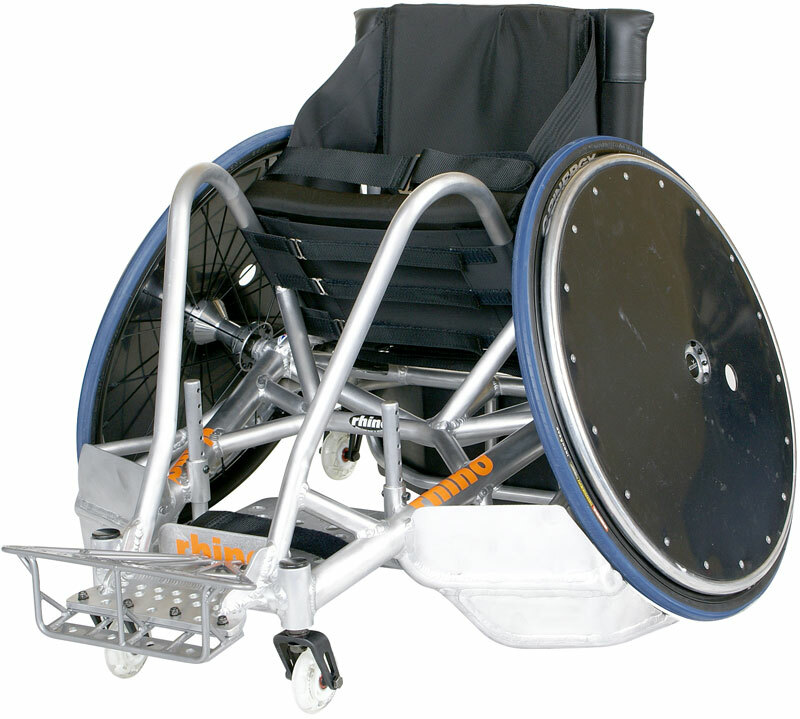 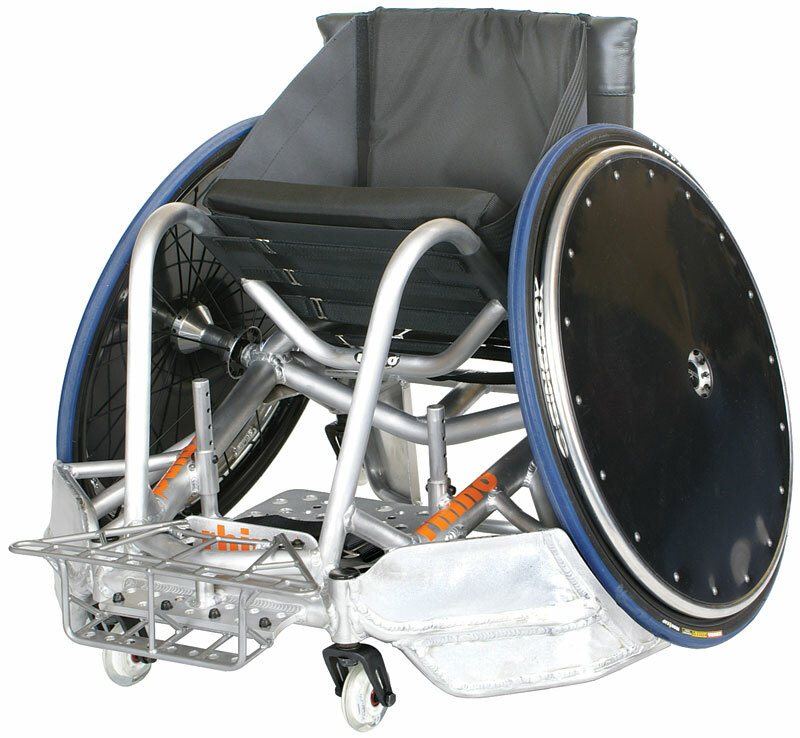 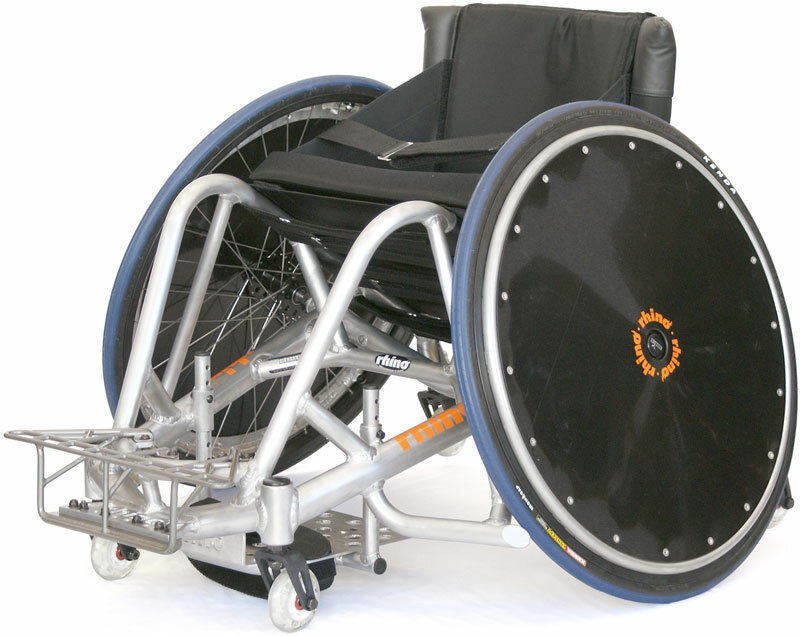 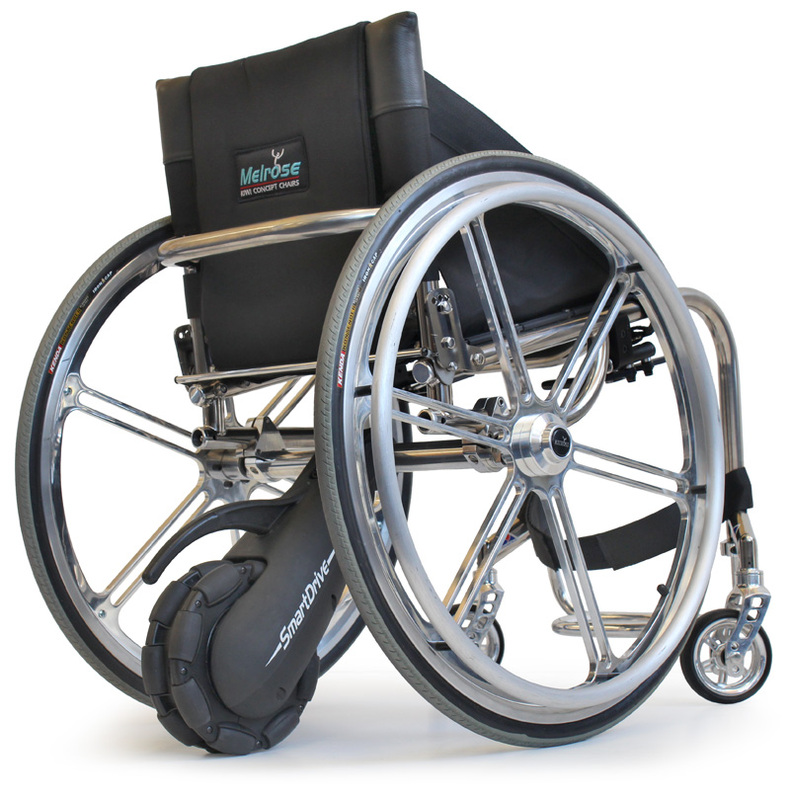 - all our rugby chairs have spoke guards, to prevent spoke damage, and to make them more difficult to stop and hold. 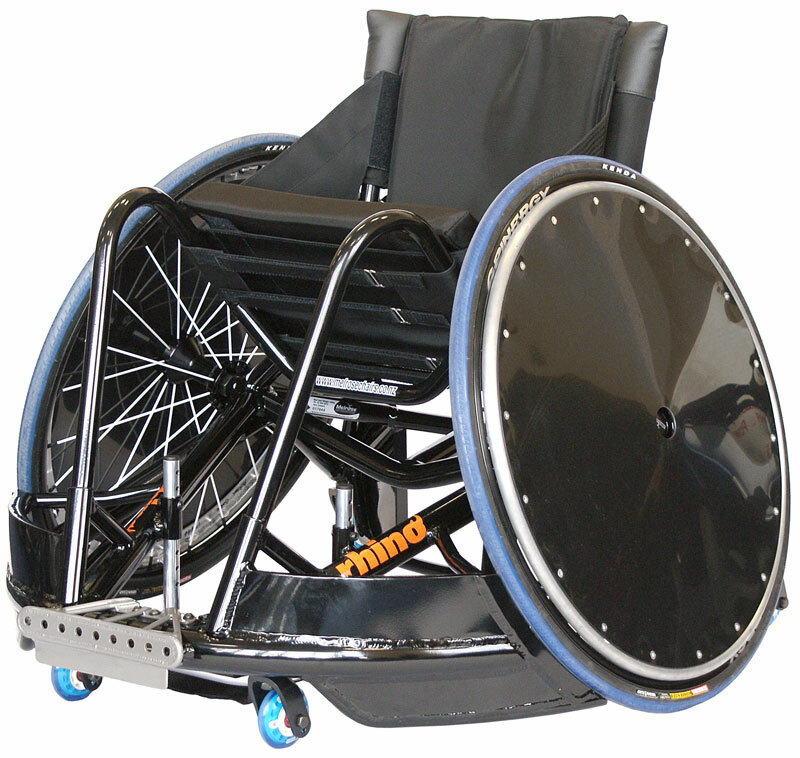 Offensive chairs with various wing alternatives or defensive chairs with variations of pickbars can be built. 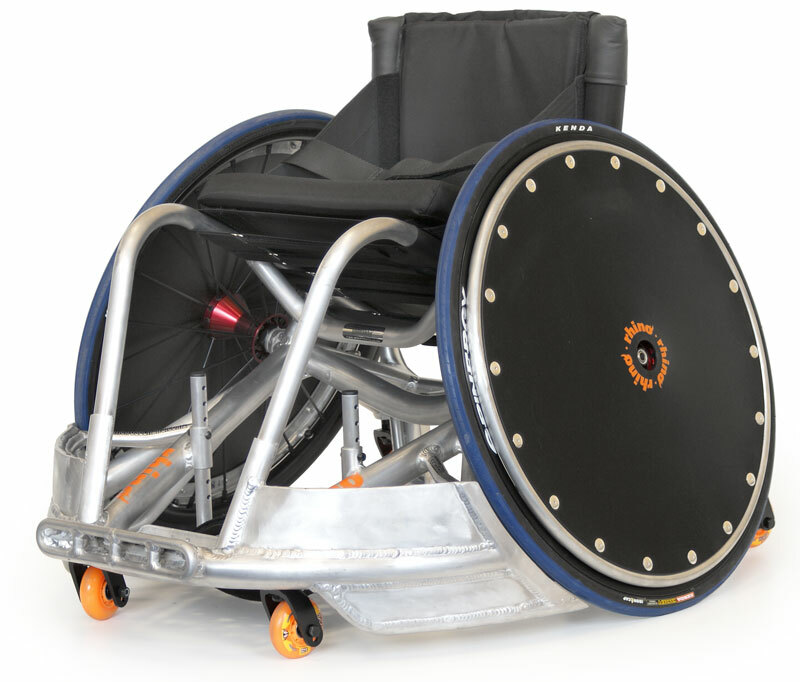 You can view these on the Rugby Sports Chairs Options page. 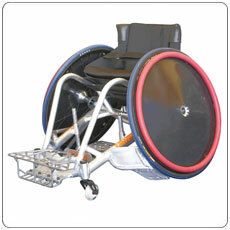 If you are committed to the game, we are committed to providing you with the best equipment.